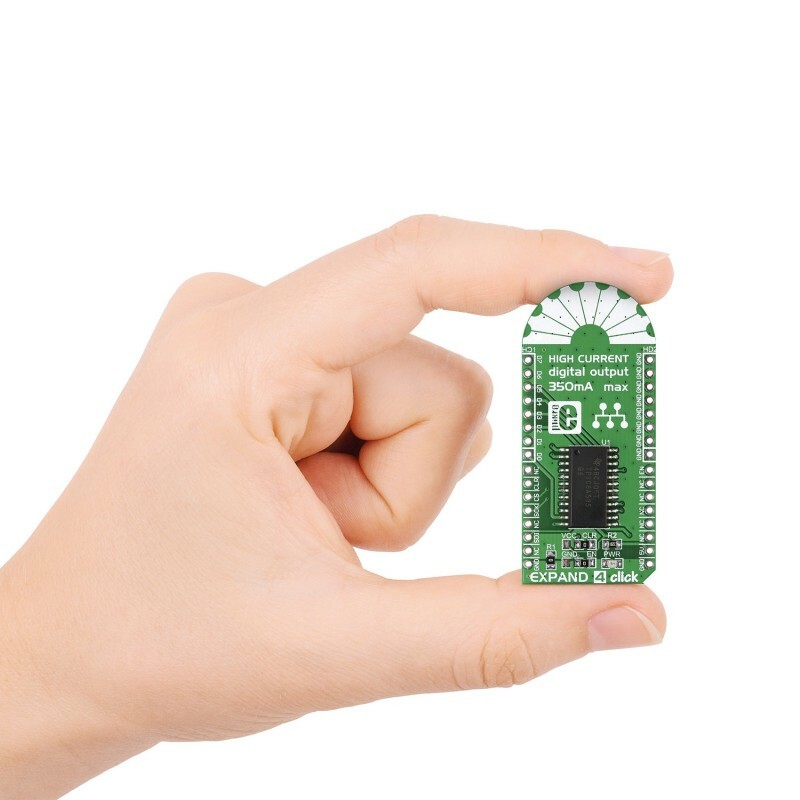 Expand 4 click carries TPCIC6A595, a chip that combines an 8-bit serial-in, parallel-out shift register with an 8-bit D-type storage register. 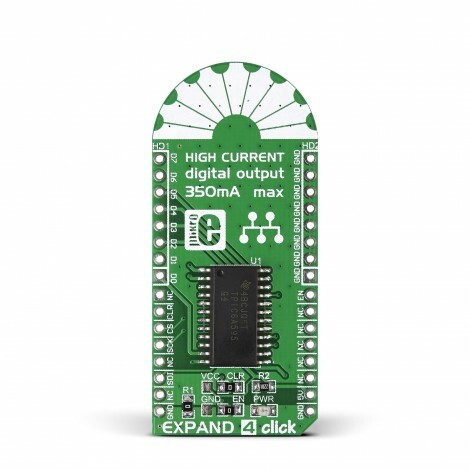 Expand 4 click carries TPCIC6A595, a chip that combines an 8-bit serial-in, parallel-out shift register with an 8-bit D-type storage register. It’s intended for use as a port expander for connecting high power peripherals. 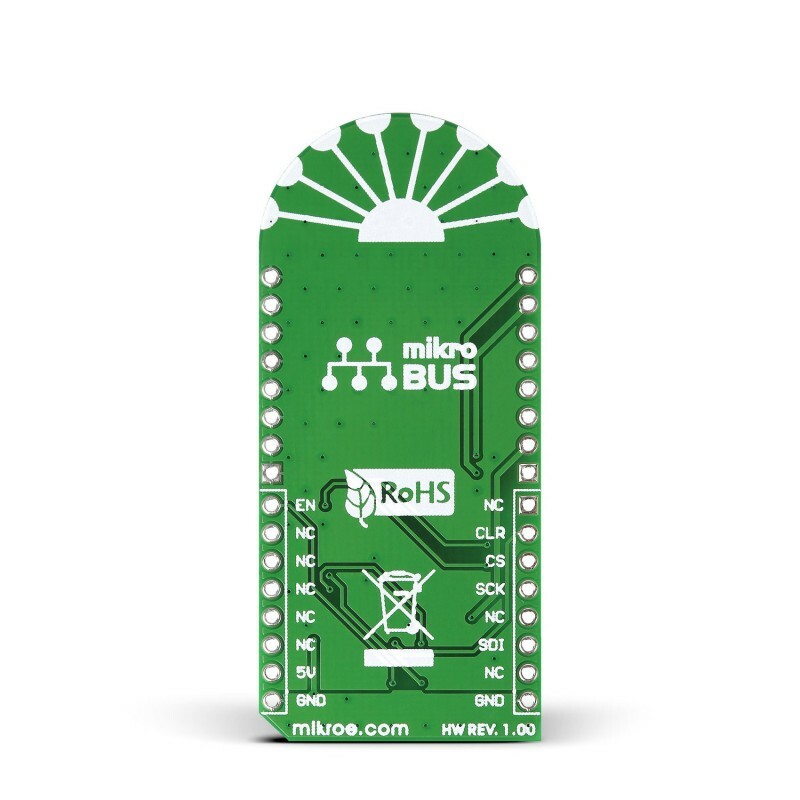 On the output side it has open-drain transistors with output ratings of 50V and 350mA (these are accessed through 8 pins above the mikroBUS socket (D0-D7) with corresponding GND pins on the other side. For data input, Expand 4 click uses SPI. 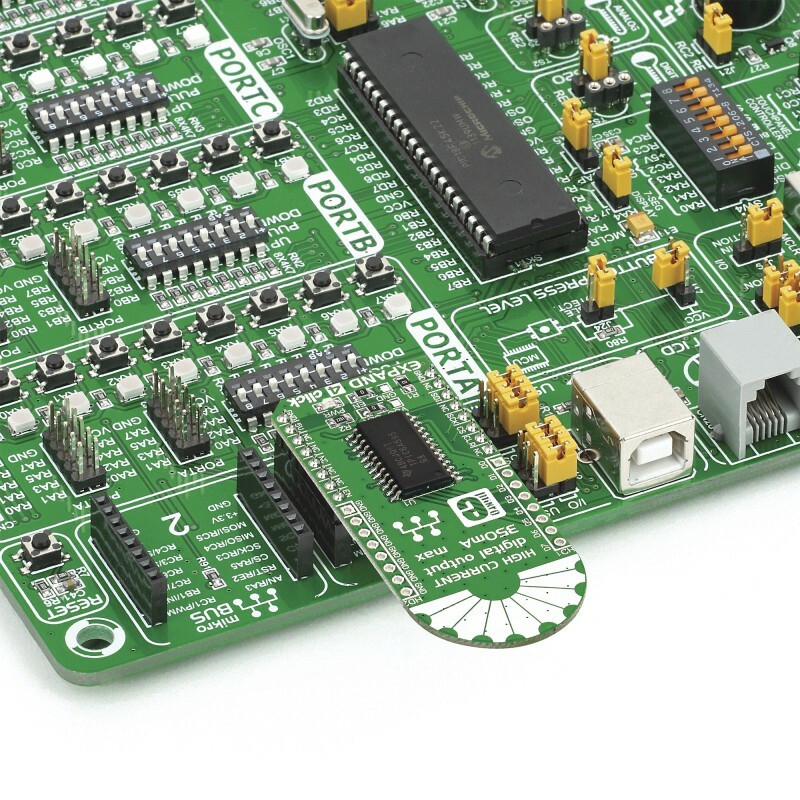 Additional pins include CLR IN (clear all input shift registers when held low), EN IN (sets all drain outputs to OFF when held high), and CS (provides the impulse for shifting the data from the shift to the storage register. ).